We’re back with Robert! He’s going to be a very busy man once his son is born, so it was great to get him back on an episode before his paternal duties start. As always, the news moves at a pace approaching light speed, and this week it it came both fast and heavy. In the Era of the Don, it’s easy to get spun around by the daily roll out of OMG’s and other reactions to news feed format of delivering outrage. But we’re here to pick apart a few of the big items that impacted front pages of news sites. 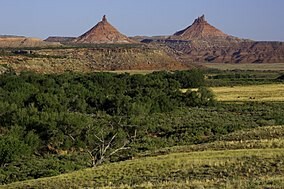 Bear’s Ears National Monument was established by then-President Barack Obama under the American Antiquities Act of 1906, and carved out over 1.3 million acres from public land in south-eastern Utah. The monument area contained thousands of archeological sites, and the shrinking of the area by 85% has put the security of those sites into question. It’s important to note, however, that the establishment of Bear’s Ears was done against the majority of Utah’s elected republican officials. Party lines weren’t the only line of division, native activists groups have supported the establishment of the monument as a protective measure for their ancestral land. Trump’s roll back of the size of the monument sparked protests and controversy. Also upsetting peace of mind in our great nation, the Kate Steinle case came to an end with the acquittal of Jose Ines Garcia Zarate on all charges except for unlawful possession of a firearm. While Zarate’s verdict has caused an uproar, news media, and then-candidate Trump, seemed to work overtime in spinning this into a larger political issue. There will likely be a a lot of questions going into prevention of an incident like this going forward,but the ability to use this tragedy as a political football was brought to an end by a jury. Switching one political football for another, we look at the Senate’s Tax Cuts and Jobs Act. After months of GOP handwringing and fretting, we get to look at the bill that was delivered to the public in wee hours of the morning this past Saturday. Widely panned by most media outlets, the tax bill is a meandering list of thingsthat struggled to inspire confidence in the GOP’s senators. The bill passed with one dissenting republican vote, Bob Corker of Tennessee. For all the drama surrounding the bill, it was clear soon after it was released to the public that the proposed legislation was flawed. The bill is now in the aggressive hands of House Republicans, and they’ve already begun to re-work the bill through reconciliation.